News: BTB: Would you do this deal for Earl Thomas if you ran the Cowboys? How far should the Cowboys go to obtain the services of Earl Thomas? 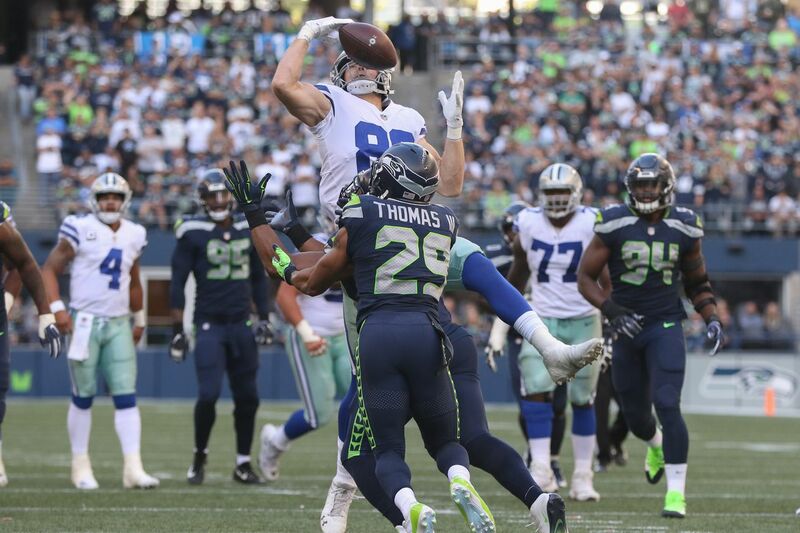 It seems almost inevitable that the Cowboys will go after Earl Thomas, given his history in Texas and the presence of former Seahawks defensive coordinator Kris Richard on their coaching staff. With Tony Romo’s contract finally off the books, the Cowboys have the cap space to consummate their long-held interest in the future Hall of Famer. What’s interesting about those numbers (four-year, $40 mil) is that it’s basically what he signed with Seattle for four years ago. Would Thomas settle for another deal like the one he signed four years ago? There are a few considerations here. Thomas’ season ended when he broke his leg in Week 4, so he still has to recover from that, although all indications are that he will and it won’t affect his play. Prior to that injury, Thomas was making noise about wanting to be the highest-paid safety in the game. The other issue facing Thomas is the dreaded 30-line; Thomas will turn 30 before the 2019 season begins. The trend in the NFL is to get young and stay young, but Thomas is no ordinary talent. When healthy, he is certainly one of the top talents in the game, or at least he was. Can he keep that up as he ages and deals with more injuries? Would you do a four-year deal worth $40 million for Earl Thomas? We’ll throw in that $25 million will be guaranteed. Nobody will actually *pay* Thomas 4/40. He's already waning and within two years he will be league average. Could be considerable injury risk too. Now perhaps someone will give him such a contract with the idea of letting him go after 2-3 years, so the payout won't be crazy. The guaranteed money will be key.